Mr. Sharath Gayakwad, Paralympic swimmer proved how a pursuing dream does not have limits. The guest sessions were continued by Dr. Devi Shetty, an Indian Cardiac Surgeon who stated that World is at the feet of backbenchers. He told not to limit strengths by inner thoughts instead give them a way to be the best. Followed by this was the session by Mr. Kishor Biyani, founder and chief executive of the future group and also a founder of retail groups such as pantaloons and big bazar. Mr. Kishor guided youth telling the importance of the share market and he also advised youth by telling not to consider India as a small country for business. The last guest of the speaker session was Jacqueline, who told the meaning of investment. She also guided audience by telling importance about changing according to the situation and being updated to tackle the problems in this new world. Miss Manasi Kirloskar, the only heir to Kirloskar has put her mark on something different than her daily routines by her interest in art. She guided audience by giving an advice of connecting points instead of being confused for the things one like and dislike. The session continued with Ritu Kedia, international long distance sea swimmer who is a living example of how gender, physical appearance or any other issue doesn’t matter to achieve dreams. The day started with the first session i’e the LEAD Talk, which opens an opportunity for young people from the LEAD program to share their inspiring stories on the platform of change. 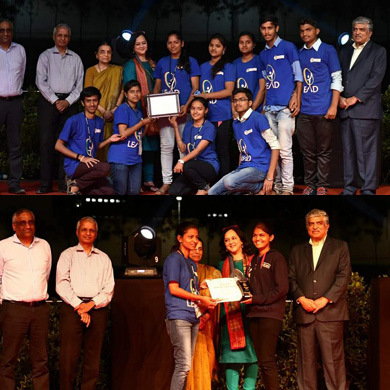 Hailing from across India, these young leaders inspired the audience of not only their peers but their elders too. The following LEADers addressed the youth gathered for the LEAD talk, Asharani Mopgar, Vaishnavi Hatrote, P Saichand, Raghavendraprasad Suryavanshi, Niraj borate, Mandavi Singh and Sushma Chobey. In this session where few focused on the entrepreneurial objectives, few focused on their own inventions and leadership factors. A faculty panel session comprising of well known and dignified faculties from various colleges of different locations was arranged. The Supporting and nurturing innovation and entrepreneurship for the youth was led by Mr. Rajendra Belgaumkar (Chairman of IMER and Board member of Karnataka Law society), Mr. James Maclellan (Academic director of Dunnin- Deshpande Queens innovation centre), Mr. G Raghu Ram (Director of IIMB and Steven Tello, Vice Provost for innovation and workforce development of University of Massachusetts Lowell). 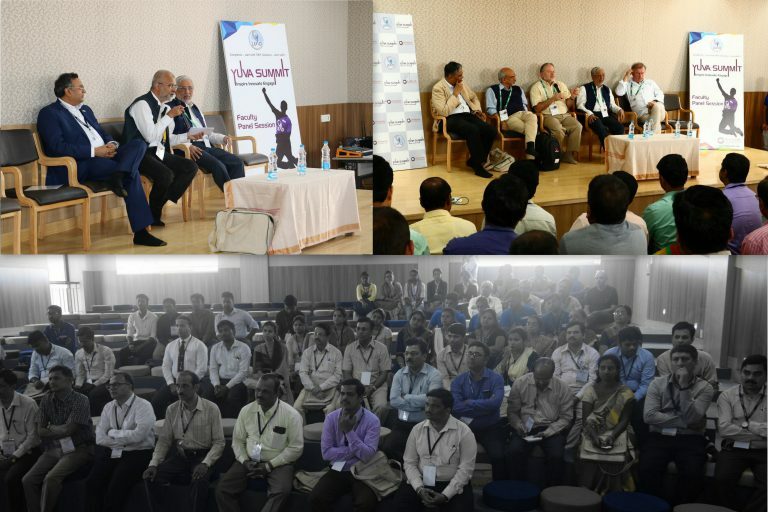 In the second session never the less had the learning shared to the audience by Mr. Arvind Melligeri (Chairman and CEO of Aequs), Mr. Anil Saharsabudhe (Chairman of AICTE), Mr.Vivek Pawar (Founder of Sankalp Semiconductors) but also ignited the motivation within the crowd. The panel gave their words of making yourself and guided the faculties and LEADers present in the hall. 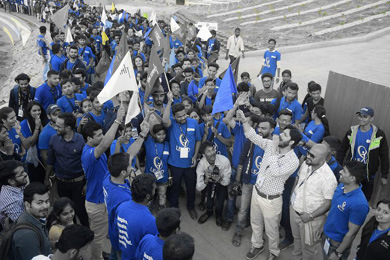 Throughout the day at Yuva Summit, top LEAD projects of the year were exhibited on the event grounds. 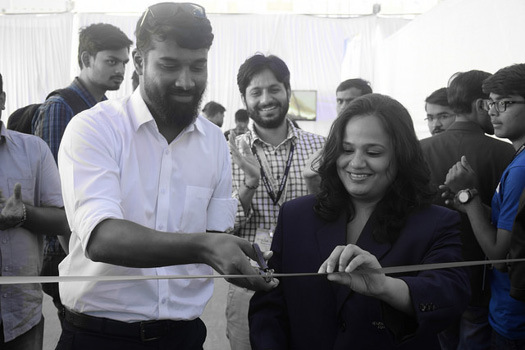 Stalls were inaugurated by Ritu Khedia, Mansi Kirloskar, and Sharath Kumar. Proud LEADers talked to their peers, entrepreneurs, and faculty about the positive impact they were making in their communities. 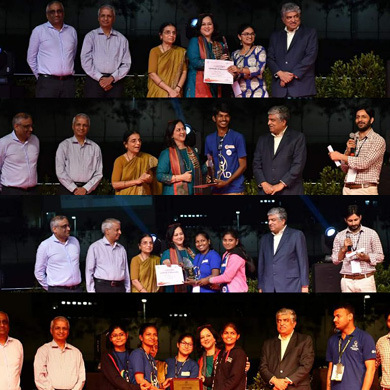 While there was a vibrant aura of positivity and motivation spread all around, The LEAD social media intern, Ritika Ganiger engaged the crowd with inspiring interviews regarding their LEADership stories and journey of self-boosting spirit. 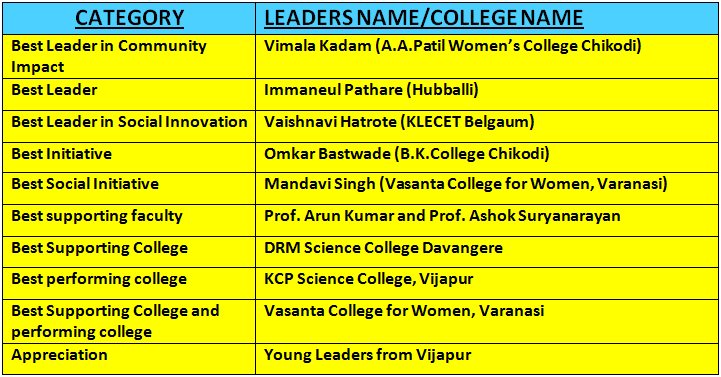 Parallel to this was the interviews with the speakers who witnessed the Yuva summit this year. The new series of a great platform was opened for the experience to talk. LEAD Social Media Intern, Rasika Mangale held up the aura of sharing amongst the closed room speakers and brand named it as "Doer’s Adda", where success speaks. What an evening it was, where the campus treated us with the best ambiance and amazing people. 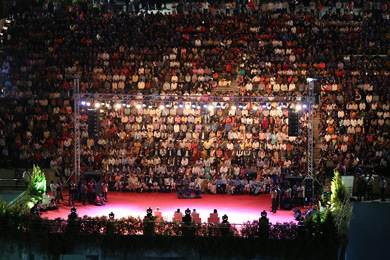 The evening with the legend commenced with a welcome dance filling up the excitement in the humongous crowd. The session was with Mr. Gururaj Deshpande, Mr. Nandan Nillekani, Mrs. Rohini Nillekani, and Mr. Kishore Biyani. The session turned more into an active discussion that covered their life, business, tough situations and importantly entrepreneurship. 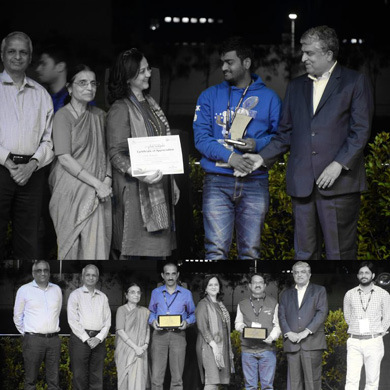 This was followed by the Award Ceremony where Best LEADers, Best Faculty, and the Best Colleges were awarded by the beloved guest panel. 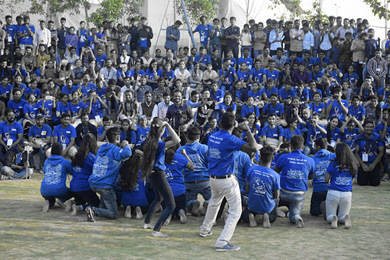 The 2018 Yuva Summit signed off with a great success. LEADers from all over the country gathered for the event which has set a milestone for any upcoming events of Deshpande Foundation.